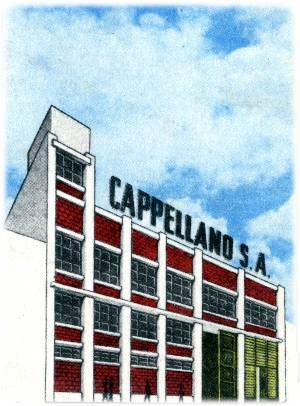 Originally known as Cappellano Hnos in the 1920s, over the years the company underwent several changes of name and address. 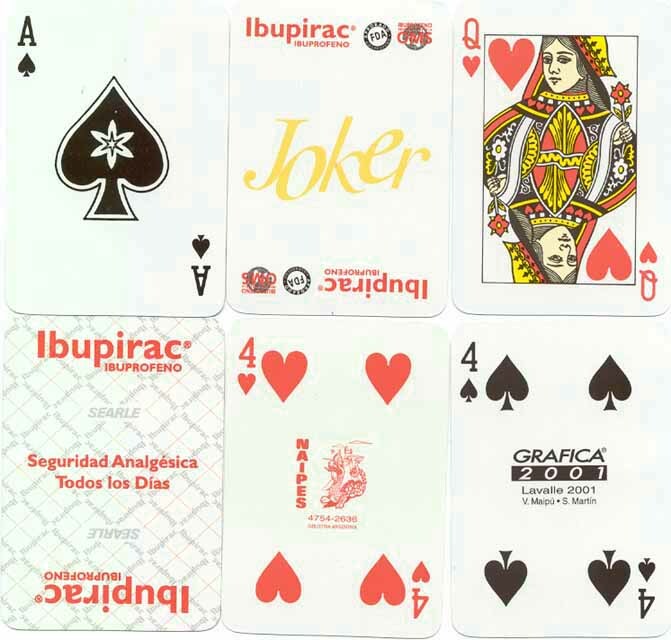 It is by studying these changes that some sort of history of the company has been reconstructed. The evolution of the company from c.1920 to its demise in the 1980s can be followed on these pages. 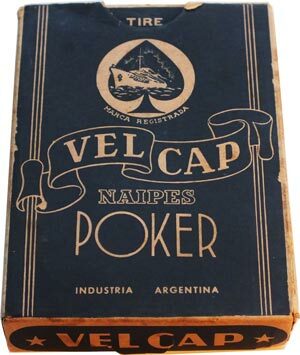 Originally operating as printers and publishers, playing card production commenced during the 1920s and included Spanish-suited packs with the brand names "Naipes Triunfo" and "Torcacita" as well as an Anglo-American style pack titled "VELCAP". 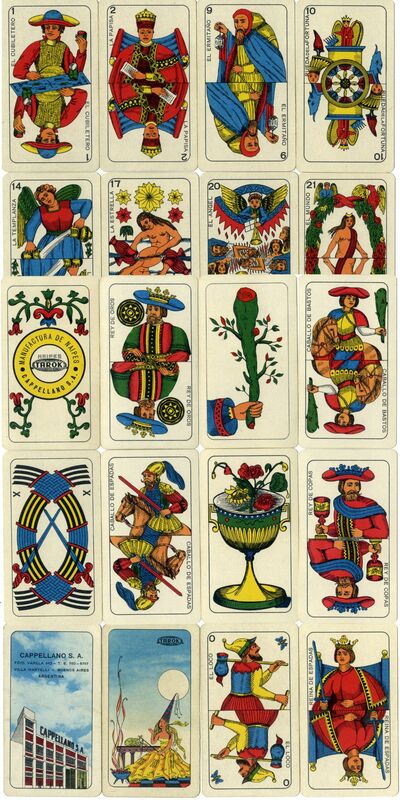 There were also Tarok packs and a special Gaucho deck titled Martín Fierro designed by José Speroni. 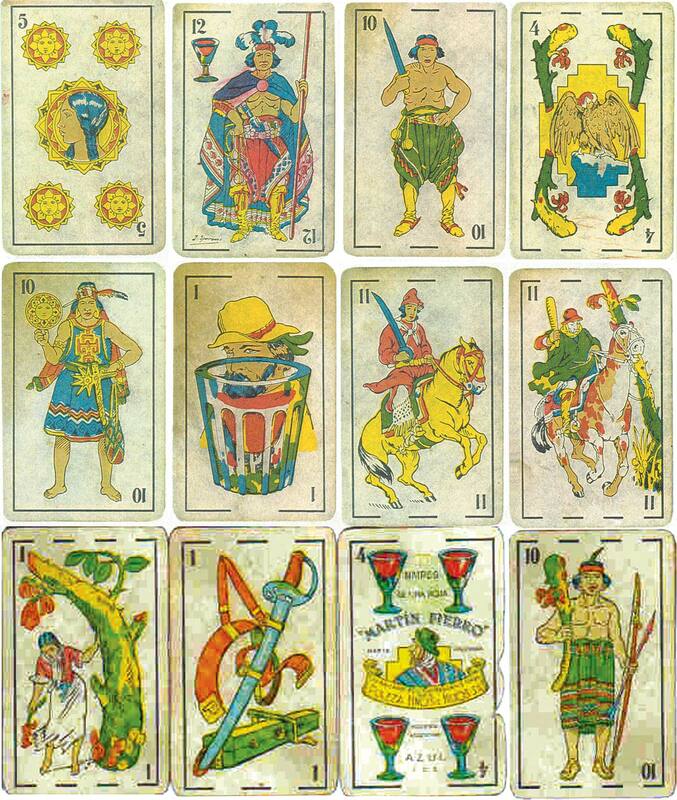 Above: Naipes 'Triunfo' were first produced by Cappellano Hnos in the 1920s, then by Orestes A. Cappellano, with re-drawn designs in use from c.1930 onwards, similar to those used earlier by Girbau. 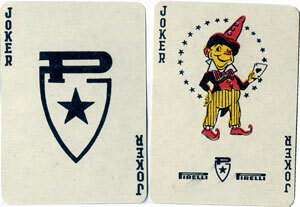 Decks are found with patterned backs or from about 1955 onwards with advertising reverses, e.g. Fernet Branca, Perkins diesel engines, etc. 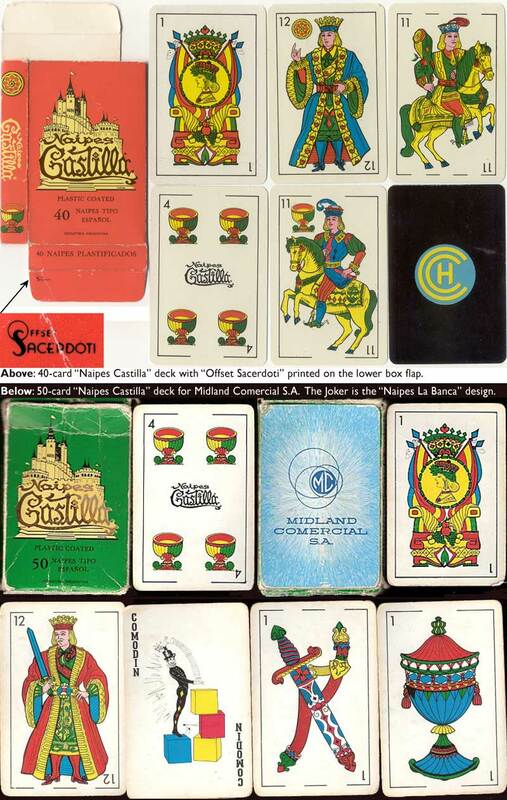 Above: Assorted cards by Orestes A. Cappellano and Cappellano S.A., c.1940s onwards.